Guess what? Another Square Enix title is making its way to Xbox LIVE in Japan. Let's have a look. 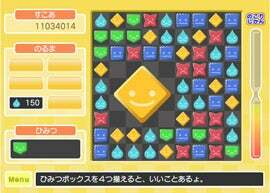 Puzzle DS title Yosumin will be hitting LIVE this spring. Previously, it was announced that iPhone title Crystal Defenders will be on LIVE this spring — as well as PSN and WiiWare.